We’re happy to announce, the Brewery’s popular Summer Sundays season of free gigs in the garden returns on 29th July and will run until early September. 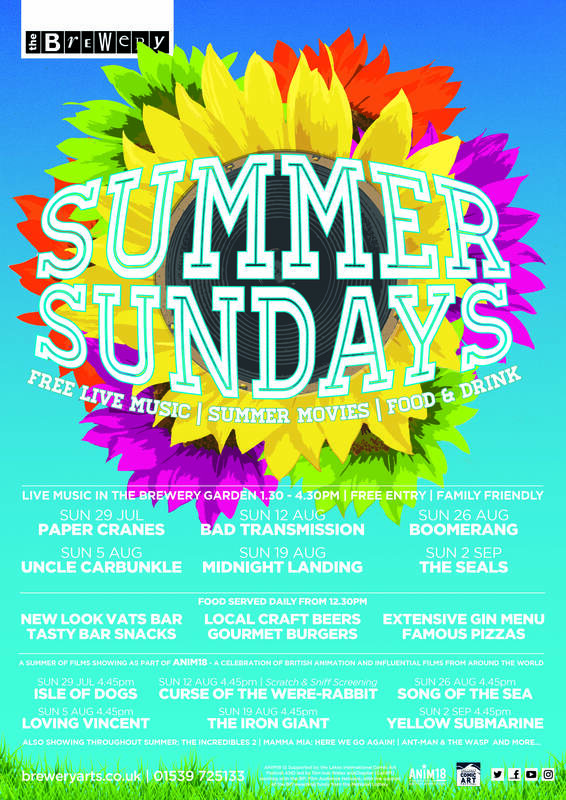 Summer Sundays has been showcasing top local bands for the last 15 years, featuring a diverse mix of artists. The laid-back festival feel has made it a firm favourite on South Lakeland’s events calendar and this summer is expanding to include a celebration of animated movies – ANIM18. The festival is a great opportunity to check out the newly refurbished Vats bar for local ale and delicious pizzas. For more ideas to make the most of summer in Kendal head to our What’s On calendar and view our Light Nights blog series.